Did you know that there is a “dark side” to oxygen that can be detrimental to your health? Learn how natural antioxidants can neutralize the potential damages of oxidation. Our entire being, every cell in our body, needs oxygen to help release energy from the food we eat. Whether it be from proteins, carbohydrates or fats. In the process, it creates a byproduct called “oxidation”. While oxygen is essential to life itself, oxidation is the “dark side” of oxygen that most people don’t know about. Oxygen is chemically reactive and under normal biochemical reactions, can become unstable. It oxidizes neighboring molecules, causing them to be unstable. This is the same process that causes iron to rust or a cut apple to turn brown, just by its mere exposure to oxygen. In the same manner, oxygen can cause “rusting” in our body which is the root cause of many degenerative diseases. If oxidation can rust on such a strong material like iron, just imagine what harm it does to our vulnerable body. But thank God, there is provision to counteract this corrosion. Oxidation is the process of interaction between oxygen and certain substances that cause the loss of one electron in molecules, causing it to be unstable and violent. In order to stabilize itself, it goes on a rampage, attacking neighboring cells, tears them open and stealing their electrons. These oxidants are corrosive and are called free radicals. Like a bad guy, it goes around vandalizing and causing cellular damage in healthy cells, resulting in oxidative stress. These free radicals if left roaming rampant in the body without control, will result in cell deterioration and destruction, and ultimately lead to degenerative diseases. Some of the diseases which are the direct result of this enemy are stroke, arterial inflammation, arthritis, macular degeneration, Alzheimer’s, and many more. The cancer-causing free radicals are called carcinogenic. Colorful vegetables are rich in antioxidants. Antioxidants are molecules that has several electrons that can be easily detached without being unstable. It donates an electron to the free radical that has one electron missing, thus neutralizing it and rendering it harmless. The body that God gives us can produce its own antioxidants. However, if the body is being constantly attacked by free radicals faster than the natural production of antioxidants, destruction sets in. To aid our body in keeping its “antioxidant tank” full, so that we can easily counteract oxidation, we can supply our body with foods that are rich in antioxidants. In our modern living, especially in the city, we will be constantly attacked by free radicals every where we go and in every thing we do. Air pollution like cigarette smoke, vehicle exhaust, barbecue smoke, chemical fumes, toxic garbage fumes, all contain ozone, nitrogen dioxide, carbon monoxide, sulfur dioxide and other hydrocarbon molecules that generate a huge amount of free radicals. These exposures are associated with asthma, bronchitis, heart attacks and even cancer. Thousands of different chemicals contaminate our water supplies. In addition, there are heavy metals such as lead, cadmium and aluminum that are dangerous to our brain, causing Alzheimer’s disease or dementia. Our food is not doing any better with all kinds of pesticides, herbicides, fungicides, food preservatives, chemicals and untold other dangerous substances that all pose potential health risks. Turn every corner and you will be faced with all kinds of free radical producing sources. Dust, dirt, parasites, bacteria, viruses, yeast, fungicides and even the stale air in our homes fill our lungs with this destructive matter. Moderate sunlight is essential and supplies the needed vitamin D to our body. Excessive exposure to both UVA and UVB can increase free radical production in the skin, causing oxidation of the skin cells that leads to skin cancer. The sunscreen you use mostly protect you from UVB, allowing you to stay longer in the sun and not getting sunburned. But it does very little to protect you from UVA that causes more damage. Antibiotic residues and numerous veterinary compounds are commonly found in commercial poultry products. They are found in chicken, beef, pork, turkey, farm-raised fish and dairy products. What chemotherapy and radiation therapy does to the body is to increase oxidation in the body to kill the cancerous cells. What it also does is killing the normal cells along with it. Any drugs that enter our body, whether orally or injected are considered a foreign substance. Our body works extra hard to metabolize and eliminate it, putting an increased stress that causes oxidation. This is why, there is usually a “side effect” from any drug that you take. Emotional stress can increase the level of free radicals in our body. Death of a loved one, a divorce, financial problems, work and personal pressures can all add to the complication of oxidation in our body. Your body may be able to tolerate a short stressful period, but a prolonged and excessively stressed period can cause serious damages to your health. Moderate exercise is necessary and even beneficial to your body. But people who exercise excessively runs the risk of increasing the oxidation level in their body. Over-exercising without balancing with antioxidants increases the free radicals significantly and is harmful and damaging. We all know that oxygen is essential for life itself. Yet oxygen is also inherently dangerous to our existence. This is known as the oxygen paradox. Scientific research has established beyond a shadow of doubt that oxidative stress, or cell damage by free radicals, is the root cause of more than seventy chronic degenerative diseases. 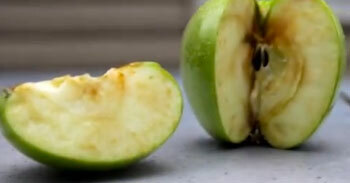 The same process that causes iron to rust or a cut apple to turn brown is the underlying initiator of diseases like coronary artery disease, cancer, stroke, arthritis, multiple sclerosis, Alzheimer’s dementia, and macular degeneration. That is right: we are actually rusting on the inside. Every chronic degenerative disease (I have) mentioned is the direct result of the toxic effects of oxygen. In fact oxidative stress is the leading theory behind the aging process itself. In addition to this, our bodies are under constant attack from an army of pollutants in our air, food and water. Our stress-filled lifestyles also take a toll. If we do not counteract these processes, the result is cell deterioration and ultimately, disease. There are thousands of antioxidants that we can obtain in the form of phytonutrients, which are found in nature’s whole foods, in fruits and vegetables. As long as you add a few servings of foods rich in antioxidants in your daily diet, your body would know how to make full use of each of them. The antioxidants will move around in your bloodstream, like the SWAT team, looking for free radicals and neutralizing them, rendering them harmless. Red apples, cherries, grapefruit, red grapes, raspberries, red plums, strawberries, tomatoes, watermelon. Asparagus, green capsicums, broccoli, cucumbers, green grapes, green beans, kale, leeks, mustard greens, peas, spinach. Alfalfa sprouts, green apples, avocados, bananas, yellow capsicums, cabbage, cauliflower, celery, kiwi fruit, lemons, lettuce, limes, onions, pineapple, zucchini. Apricots, orange capsicums, cantaloupe, carrots, mangoes, oranges, papaya, pumpkin, sweet potatoes. Beets, blackberries, blueberries, red cabbage, cherries, currants, eggplants, purple grapes, red onions, purple plums. If you have been following my site, you will see that it is impossible to avoid oxidation and free radicals while we are still in this world. We cannot be fearing what is out there as it will deprive us of living a normal life. The best thing for us to do is to constantly keep our antioxidants at an optimum level to keep our body’s immune system and defenses in tip-top condition. 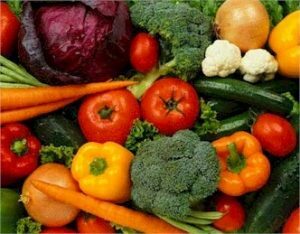 Studies after studies have shown that individuals with the highest intake of fruits and vegetables has a significantly decreased risk of developing many of these degenerative diseases. Not only can these fruits and vegetables prevent diseases, it may actually even repair damages that have already invaded the body by reversing cell damages. This site holds your hand as you walk this journey to a healthier new you.